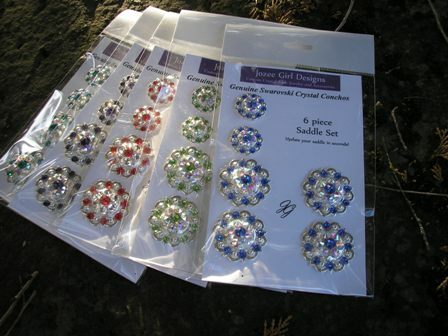 Jozee Girl Designs Custom Crystal Tack, Jewelry & Accessories - Saddle Concho Set ~ 6 Piece Set! 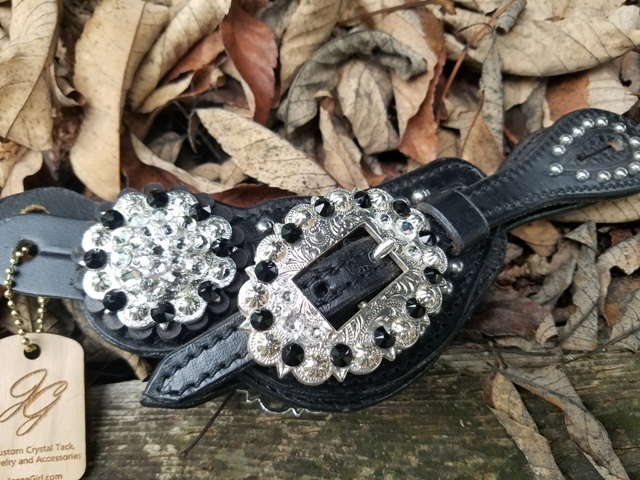 Set includes 4 - 1 1/2" and 2 - 1" Crystal Conchos with Saddle Screws. 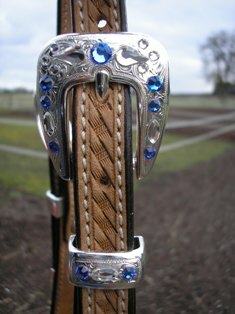 Mega Bling Scalloped Browband Headstall ~ A Jozee Girl Favorite!